Introducing the All-New Kia Stinger Preview Event 31.08.17 Reserve your space today. Paddy Barnes picksup New Kia Sorento From Charles Hurst Kia. The New Kia Sportage- due for release early 2016 - has been put through its paces in the Mojave Desert. Kia are no stranger to standing out from the crowd when it comes to their superbowl commercials and this year is no different. Olympic Gold Medallist Dame Mary Peters called into the Charles Hurst Kia showroom to pick up her new Kia Cee’d and was extremely complimentary about the service she received. Kia was recognised at the 2015 What Car Awards in London last week for their popular Kia Cee’d Sportwagen model which was named ‘Best Buy’ estate under £18,000, beating off some stiff completion. The Kia success story continues with the news that the manufacturer broke its monthly sales record in May 2014. Buyers of Kia’s Soul EV and future Sedona MPV in the US will be greeted by a jingle each time they start the engine, in what is considered an industry first. 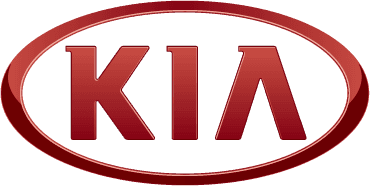 Kia has partnered with the England women’s cricket team as an official sponsor, in what is being described as a historic deal for the sport.